Of all the birds that visit my backyard, I find myself most mesmerized by the cardinals. Between seed snacks from the feeder, this guy was hanging out in the snow watching the world go by. I still struggle to get a nice, clear, high-definition shot of a cardinal, but this photograph is at least better than my previous attempts so I’m encouraged by my progress. 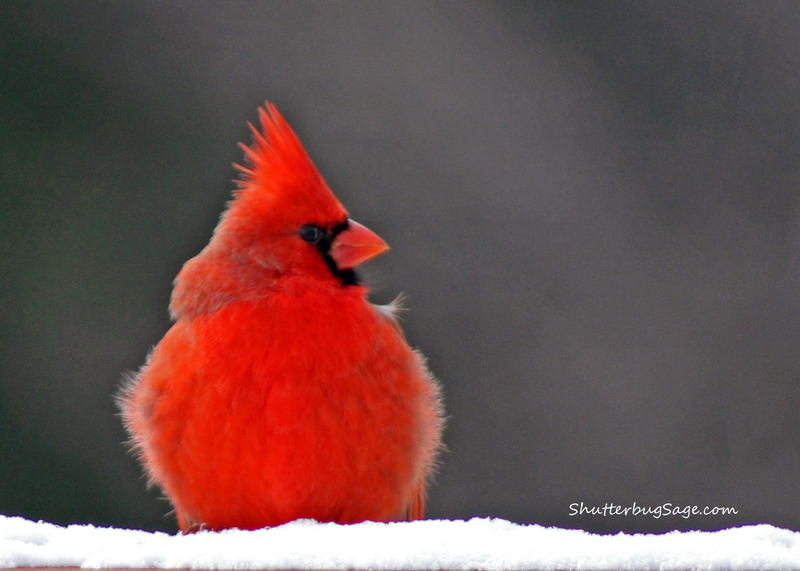 Cardinals are one of my favorite birds to see in the winter. Their brilliant red plumage definitely stands out against the white snow. The are so pretty and also quiet a sighting again the white snow. Wish we had such colorful birds over here. I tried a million times to catch some of the birds coming to my Mom bird house but they are so quick…hard to get a crisp image through a window.